A few months back I held a contest on the Not Dead Yet Studios blog to give away one Cartoon, and one custom tiny painting. The very patient CaZ from 2 Chicks at Home won the painting, and it’s finally done. 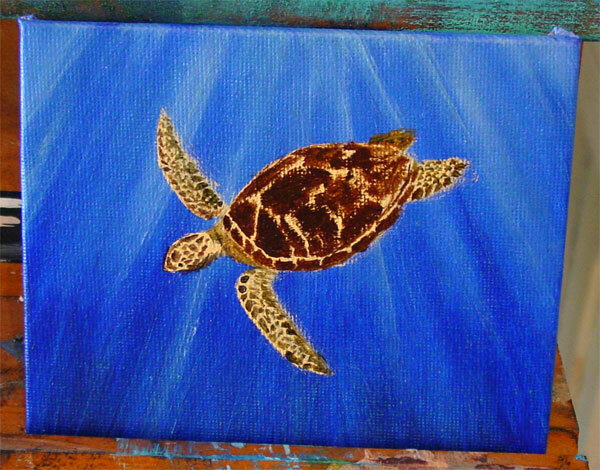 She asked for a green sea turtle (which I was surprised to find after some Googling wasn’t particularly green), and so I went looking for reference photos and got started. 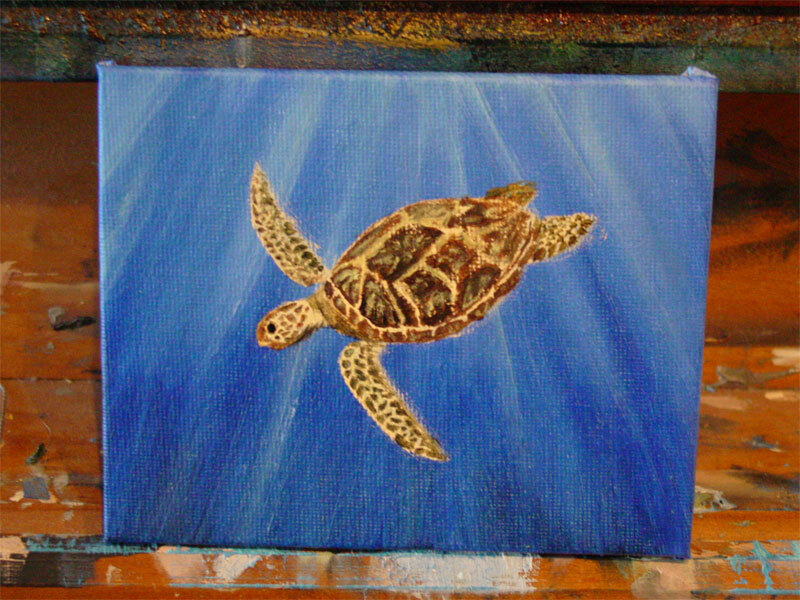 Rather than using one of the tiny 2.75″ square canvases, I decided to go with a slightly larger canvas board to give the little guy some room to swim. As soon as he’s dry enough, he’ll get packed up and shipped off to his new home. He was fun to paint, and I’m thinking perhaps I need to do another contest soon — though maybe this time for an existing work. 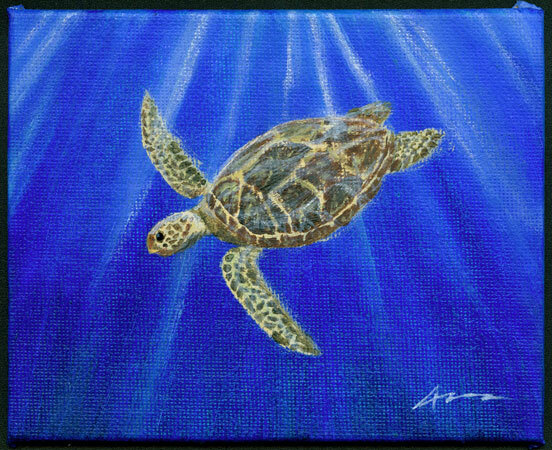 Green Sea Turtle, 4″x5″ oil on canvas board, commission. 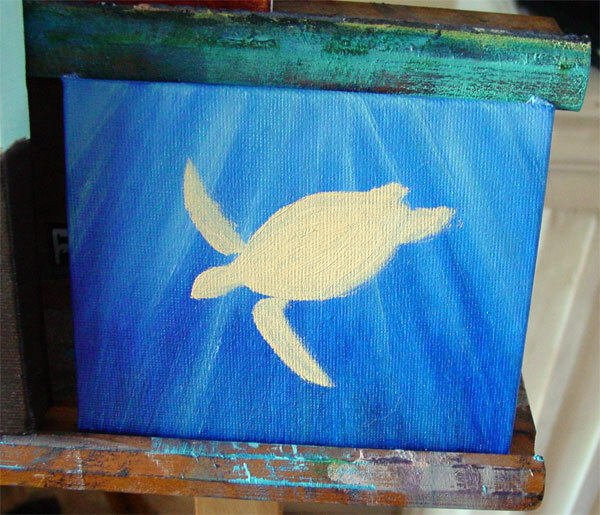 Read on to watch the turtle swim into being. 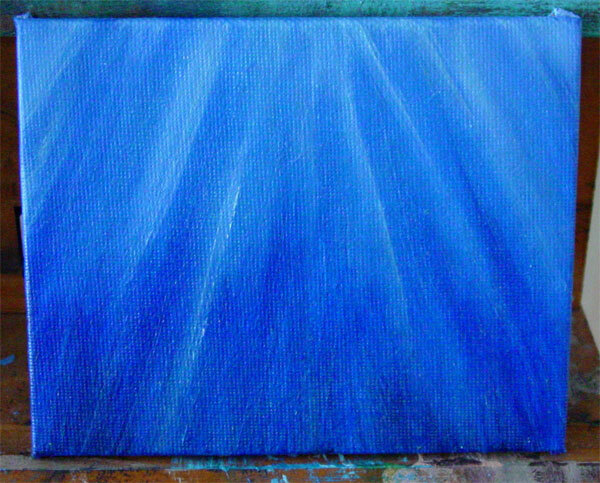 And after that I added in some shafts of light, using white and then afterward some iridescent paint to give the painting a soft glow — you can see the end result at the top of the post.